It just has to groove! 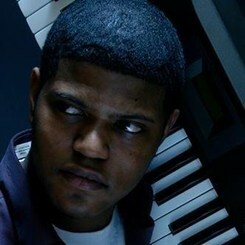 Sam Prather is an exciting and multifacted pianist, drummer, and vocalist born and raised in Washington D.C. Sam has developed a reputation in the local music scene performing and producing with all types of acts. He's equally comfortable in Jazz, Funk, Gospel, Brazilian, Latin, Neo-Soul, and R&B. On the funk/soul side, Sam has worked on keyboards/drums with YaMama'Nym, 76 Degrees West, Fred Yonnet, J-Hayden, and Brandon Combs while on the jazz side he has had the honor of playing with Pharoh Saunders, Greg Osby, Heidi Martin, Warren Wolf, Antonio Parker, and Joey Omicil. Sam studied with Lafayette Gilcrest and Rick Hannah at UMBC, graduated from UDC where he studied piano with Allyn Johnson, and recently finished the graduate program at Howard University, where he played in the Jazz Ensemble, and studied piano with Charles Covington.